Products Listed Below Are Available Today!!! Quantities may be limited at any time due to this heavy demand. Super Premium & Premium Grade Wood Pellets, Envi & Envi 8 Blocks, and High Heat Anthracite Coal ordered will be scheduled for delivery based upon availability. 2019/20 Heating Needs for Your Home and Family!!! Finally become truly Energy Independent!!! Secure Your Heating Needs Now to SAVE BIG on DELIVERY!!! Great Bang for Your Buck Super Premium Pellet!!! Logik-e High Output Super Premium Hardwood HAVE ARRIVED!!! Made from clean dry wood shavings & sawdust Logik-e High Output Super Premium Hardwood Pellets offer Exceptional Quality & Consistency!!! Using only dry hardwood: Maple, Oak, Hickory, Walnut, etc. Logik-e offers an Extremely Efficient, Clean Burning, High Heat, and Low Emission Super Premium Pellet. Top Quality Raw Material gives Logik-e Hardwood Pellets a Superior Low Ash Content that we strive to offer. The Very Low Moisture Content of Logik-e allows this Super Premium Hardwood Pellet perform above and beyond the expectations of of many premium grade products in today's market. 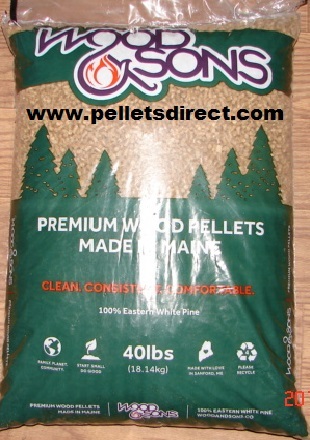 A Great Bang for Your Buck Super Premium Pellet!!! Super Heating Performance & "Ambiance" all in One!!! Orford is manufacturer of super premium wood pellets. 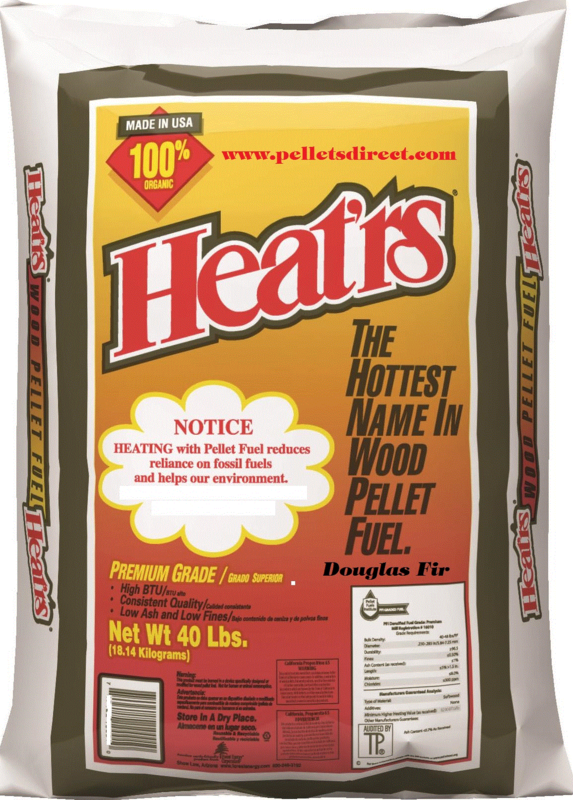 Orford wood pellets are made of 100% hardwood, mostly maple, oak and wild cherry. Recognized for the energy returns obtained by their longer and cleaner combustion, Orford wood pellets answers the most rigorous requirements in efficiency, cleanliness and comfort. Throughout the manufacturing process, Orford hardwood pellets undergo several quality controls to assure superior quality. They are also screened two times during processing with the goal of obtaining minimum dust in each bag. Why choose our 100% Hardwood Wood Pellets? Compared with a softwood pellet Orford wood pellets contain no resin. As a consequence, during the combustion, the particles of dust do not stick on the walls of your stove and contributes in keeping it cleaner and to assure its good efficiency. Barefoot Pellets are exceptional in Quality and Consistency as Barefoot tightly controls the quality and the cleanliness of the raw material used to make their pellets. Barefoot Pellets utilize sawdust from a variety of hardwood species from the renewable & sustainable forests of Pennsylvania and New York. These species include Cherry, Maple, Red Oak, Hickory, Walnut, and White Oak. Barefoot Pellets have superior low ash content due to the quality of the hardwood raw material used. Barefoot Pellets are extremely efficient in terms of low emissions, clean burning and high heat. Barefoot Premium Plus is proud to have Hardwood Pellet Fuel printed on their bag. If the pellet you are currently using doesn't say Hardwood on the bag then it may not be a hardwood pellet. Barefoot Premium Plus is a good hot burning low ash wood pellet! Barefoot Super Premium Hardwood Pellet has built a reputation as one of the Best Hardwood Pellets on the Market Today. Discover Why Barefoot is one of the most sought after pellet in the New England Market!!! Barefoot Pellets are exceptional in Quality and Consistency as Barefoot tightly controls the quality and the cleanliness of the raw material used to make their pellets. Barefoot Pellets utilize sawdust from a variety of hardwood species from the renewable & sustainable forests of Pennsylvania and New York. These species include Cherry, Maple, Red Oak, Hickory, Walnut, and White Oak. Barefoot Pellets have superior low ash content due to the quality of the hardwood raw material used. Barefoot Pellets are extremely efficient in terms of low emissions, clean burning and high heat. Barefoot Beautiful Super Premium is proud to have Hardwood Pellet Fuel printed on their bag. If the pellet you are currently using doesn't say Hardwood on the bag then it may not be a hardwood pellet. Barefoot Beautiful Super Premium is a good hot burning low ash wood pellet! 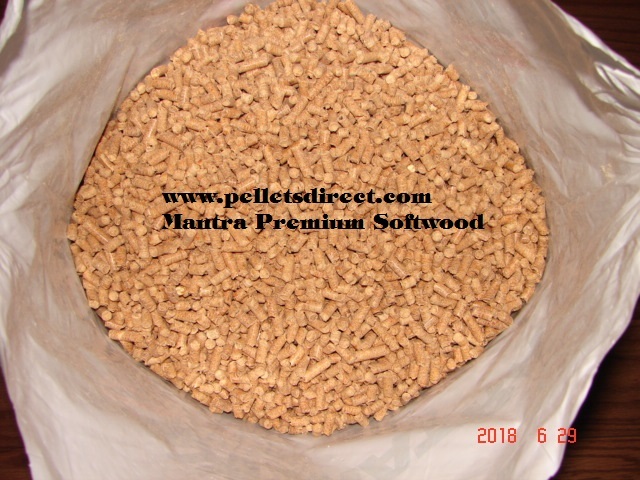 Barefoot Beautiful Super Premium Hardwood Pellet has built a reputation as one of the Best Hardwood Pellets on the Market Today. Discover Why Barefoot is one of the most sought after pellet in the New England Market!!! 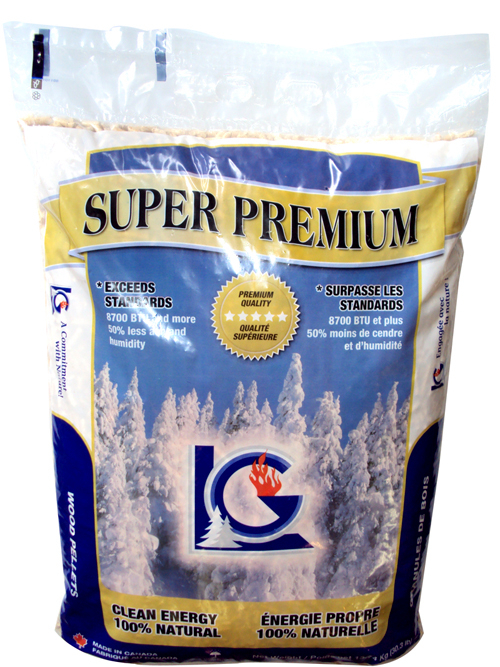 LG Granules produces top-quality softwood pellets made from Black Spruce and Grey Pine. Years of experience in the wood pellet industry has brought LG Granules to be a leader in alternative heating industry. Using state-of-the-art equipment allows LG Granules to produce a consistently great product for heating our New England Homes. Long awaited comes the next generation in the evolution of High Performance Wood Pellet Heating Fuel LG granules steps up to the plate to lead the way for others to follow! The Higher Heat and Lower Lighter Ash of High Performance Softwood Pellets can create a warmer lower maintenance environment for your home and stove. Now is the time to discover why wood pellets are your desired choice when it comes to heating your home! Greater than 8,700 btu per lb with minimal light ash avg. to 0.4 makes LG Granules Super Premium a heating pellet to benefit your home. Conveniently Packaged in 33.07# bags will help to make your heating experience a pleasure again! La Crete Sawmills Ltd. pellet fuel is made from clean, dry wood-waste fiber from our own lumber operations and neighboring sawmills. Only the finest material is used and dried to the lowest moisture possible before being used in the pelletizing process. No additives are used, only the natural resins and binders hold the pellets together. Pellet fuel is an efficient and cost effective source of heat. The low moisture content increases combustion efficiency and results in high heat output. A single bag of fuel can burn for 24 hours or longer. Heat'rs pellets are regularly tested by independent laboratories to ensure that our pellets exceed the standards established by the PFI (Pellet Fuel Institute) for PREMIUM FUEL classification. The finest species available in the Pacific Northwest, Douglas Fir can offer a cleaner burns that keeps your pellet stove running at it's peak. An all hardwood brick product Volunteer Wood Brick comes from the great Hardwood Raw Material available in the Tennessee Region. Packing a Powerful Heating Punch up to 8,400 btu per pound the wood stove industry has taken notice. Cleaner and Longer burning than cordwood you will enjoy all the benefits of burning wood with greater consistency, ease of use and less maintenance. 96 packs of 6 come on a pallet for ease of storage. Each pallet weighs about a ton and equates in heat value and burn time to about a cord of seasoned firewood. Brick to Brick and pallet to pallet the consistency of Volunteer Hardwood Bricks can offer your home what cordwood cannot! These blocks are an all wood product with no additives which are specifically designed to be used as firewood in wood stoves, fireplaces, fire pits and wood furnaces. Envi Blocks are made of the same material (hardwood sawdust, shavings, etc) as our wood pellets and mechanically compressed into a larger block size. An all wood product made from dry, clean and recycled hardwood sawdust & shavings. FOR USE IN WOOD STOVES, FIRE PLACES, FIRE PITS, WOOD FURNACES. The higher density and lower moisture content of Envi Blocks creates a cleaner longer burn than even the most seasoned wood. Envi Blocks create less ash and have lower particle emissions. Cleaner storage without insects and other creatures that invade the outdoor wood pile. Each block measures 4"x4"x10". This ideal size for most wood stoves and fireplaces will set the standard for others to follow. 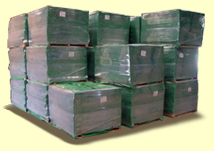 Pallets measuring 4'x4'x3'that consist of 315 blocks can be stored inside Its time to Turn Green with Envi!!! Each block measures approx. 4"x4"x10"
Now is the time to discover the best of both worlds in Premium Grade Wood Pellets. Eco Heat Hardwood/Softwood Premium Blend is formulated to showcase the best qualities of both Hardwood and Softwood pellets Blended as One. Offering up to 8,400 btu with avg. ash 0.5% Eco Heat Hardwood/Softwood Blend can be the solution to the question "What burns better Hardwood or Softwood Pellets?" Consistent feed rate and a clean burn takes the worries out of choosing a wood pellet to suit your stove. 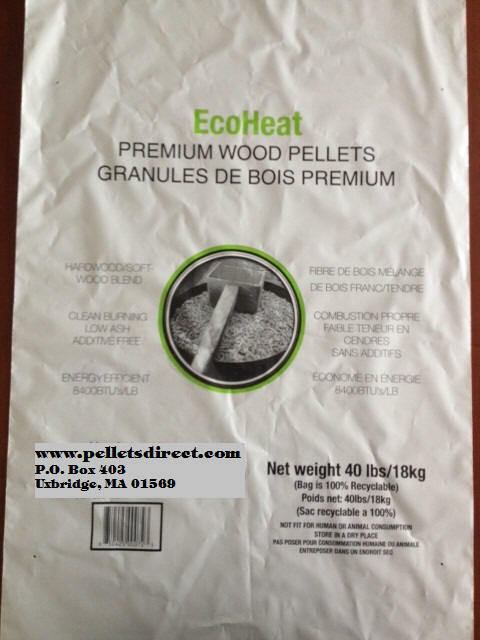 Eco Heat Hardwood/Softwood Premium Blended pellet is for you! This product will ship Now! Well known and respected as one of the Premier Wood Pellet Producers in North America Logik-e Wood Pellets have proven to us New Englanders that Quality makes a difference. Logik-e now introduces a Super Premium Softwood Pellet that offers the Increased Heat Value and Lighter Ash that only a Softwood Pellet can provide. Extra Heating Capacity and a Cleaner Burn pot can make heating your home with wood pellets more efficient. 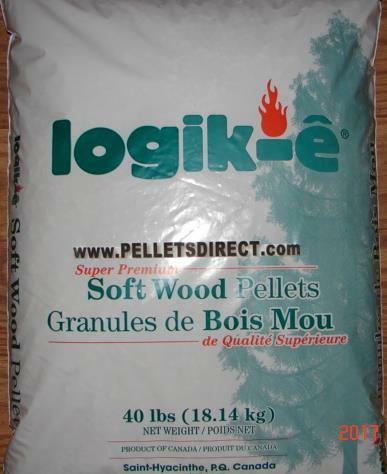 Utilizing some of the best raw material available Logik-e Super Premium Softwood Pellets can make your wood pellet heating experience warm and enjoyable. Now is the time to see the difference Logik-e Super Premium Softwood Pellet can make! A True Appalachian King Hardwood Pellet!!! Hamers is the oldest residential wood pellet manufacturer in the East. Using the finest Appalachian Mountain Raw Material allows Hamers Hot Ones to out perform many other Premium Pellets. The Increased Heat and Lower ash output of Hamers Hot Ones can maximize your stoves heating potential. With heat output pushing 8,400+ btu and leaving a minimal avg. ash of 1/3 of a percent now is the time to Feel the Heat as Hamers Hot Ones gives you a treat. 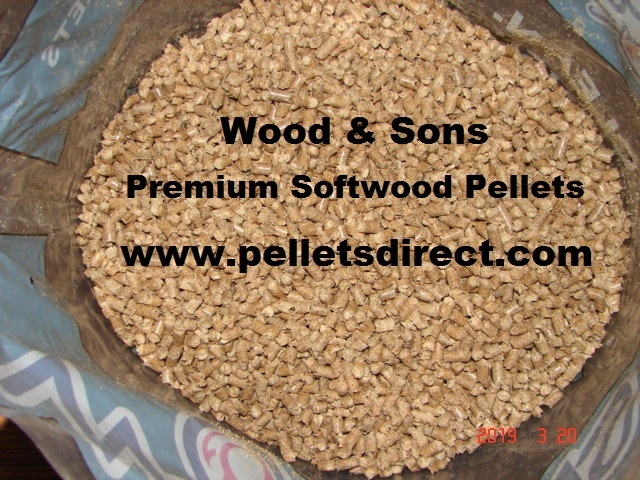 Wood Pellet Quality is the #1 goal for Green Gold Hardwood Pellet. Fresh sawdust from local hardwood mills arrives daily at the plant and is processed quickly into Green Gold Hardwood Pellets. Processing the hardwood saw dust quickly ensures the Highest Heat Value possible. Double screening and constant testing of the finished product keeps Green Gold Hardwood Pellets ranked among the best Hardwood pellets available today!!! Order today to discover the U.S. Gold Standard for Hardwood Pellets!!! 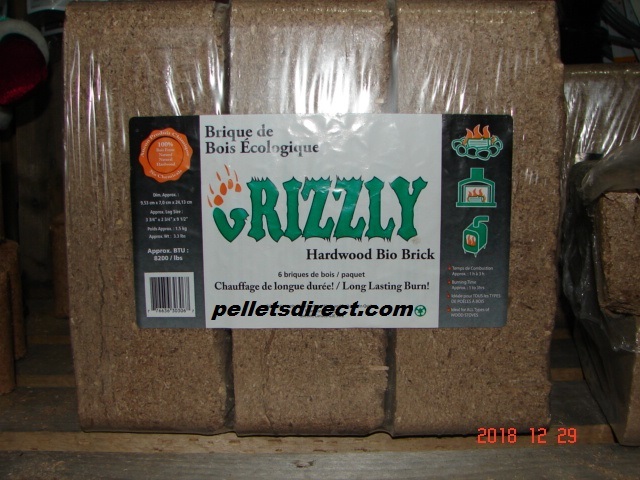 Grizzly Hardwood Blocks for the wood stove & fireplace. Cleaner and more convenient than traditional firewood. 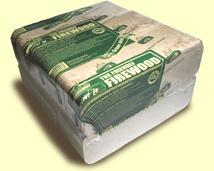 Grizzly Hardwood Blocks can be burned alone or combined with firewood. Either way longer burn times and peak heating performance can give you the warmth you need for the cold winter times to come. Density of this roughly 2.5" x 3.5" x 9" brick is the key to it's burn time. The theory is simple, the denser the brick the longer the burn time. Grizzly Hardwood Block offers the heat output combined with a dense longer burning brick that can keep your home warm and comfortable for winters bitter cold months. Grizzly Hardwood Blocks can be your choice for wood stove & fireplace. All pellets are backed by the specific manufacturer. Pellets Direct™ will replace or credit pellet purchases only when authorized by the manufacturer. We recommend trying particular brands before purchasing a years supply. Pellet products may vary from brand to brand and sometimes bag to bag.